Auspicious time for ganpati pooja on this day is between 11:10am and 13:37. 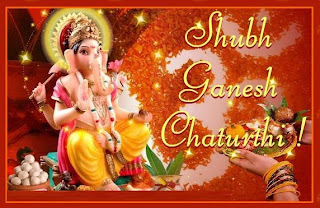 One should fast on this day and offer the prasad of laddoos to Lord Ganesha for gratification of desires. And also when I express my current result to somebody then I don't able score in the next exam .I feel very irritated.what should I do sir? Please help me.i don't want to face this type of problem ,i am facing it from long time.